Yamaha Fino Off Road Modification PictureThis is the yamaha fino modification from thailand. Fino is favorite scooter in thailand as well as yamaha mio. The style modification of this scooter is like motorcycles off road. I put this YAMAHA FINO OFF ROAD Modification from grandprixgroup.com. Thanks For the great picture. DETROIT – Chevrolet delivers a futuristic vision of technology and design with the 50th Anniversary Corvette Stingray Concept. 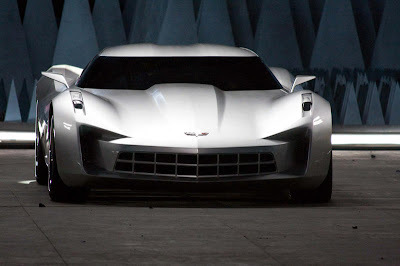 A version of the model was first shown at the 2009 Chicago Auto Show and stars as “Sideswipe” in Transformers: Revenge of the Fallen. 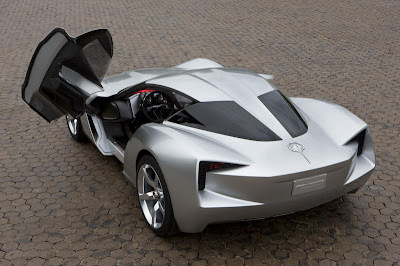 The Corvette Stingray Concept represents both the iconic legacy and an exciting future for Corvette. The Corvette Stingray Concept was developed as an internal design challenge to combine classic Corvette cues with surprisingly high-tech features, modern materials, and a striking new appearance. The car is well-appointed with a clamshell hood, scissor-style doors, ergonomic seats, rear view camera with night vision enhancement, and a high performance hybrid drive. Interactive touch controls allow the driver to customize the power and efficiency of his or her ride and share it with friends via the in-car camera system and advanced telemetrics. 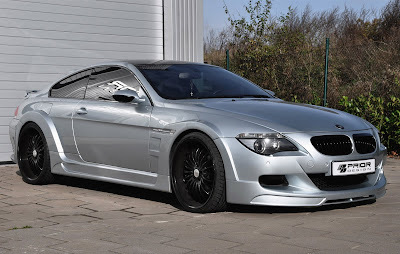 The German tuners from Prior Design have released a refined BMW M6 with the project name PD550. 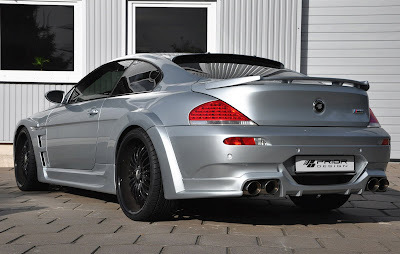 Previously tuning a Porsche 997 Turbo, Mini Cooper S, and Jaguar XJR models, the BMW M6 received a new custom made body kit. The kit consists of a new front bumper, rear bumper, side skirts, and front fenders. Equipped with large multi-spoke black wheels measuring 20×9 and 20×10.5, the PD550 BMW M6 really stands out. The wheels are also available in a 21″ model, and both come wrapped with 255/35ZR20 or 21 tires in the front, and 285/30ZR20 or 21 tires in the rear. Giving the car a wider stance, the body kit by Prior Design widens the BMW M6 by 80 mm. Now combine the large wheels, wide-body kit, lowered suspension, and you will have a true monster on the road. For performance the car received a new custom exhaust system for optimal sound from the large V10. Official information about the BMW M6 horsepower has not been released yet, however guessing from the name PD550, it’s probably 550 hp. This is accomplished by simple engine tuning, adding a full exhaust system, and road tests. All of Prior Design’s vehicles are TUV tested and approved before purchase to ensure they meet all traffic regulations. It's arrived. Finally. 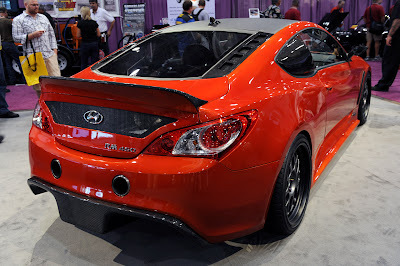 The wickedly awesome Rhys Millen Racing mid-engine V8 version the Hyundai Genesis Coupe is here, and it took every fiber of our being not to hop in and drive it off the SEMA show floor. The RM460 is why we're in Sin City -- it's the embodiment of the originality and DIY-ethic of the aftermarket extravaganza in Vegas. 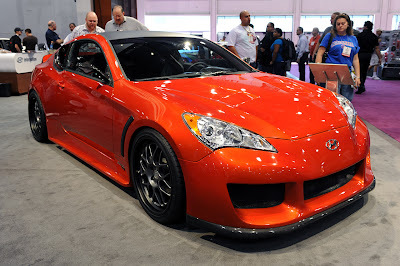 Its Genesis sedan-sourced, 4.6-liter, Tau V8 occupies the spot normally reserved for a backseat in lesser Coupes, and is boosted via a handful of go-fast parts to produce an even 500 HP. The stock transmission was tossed in favor of a Mendeola five-speed sequential gearbox, KW coilovers were used in place of the stock dampers, and HRE 560 Series 20-inch wheels wrapped in Toyo T1R tires nicely frame the new StopTech braking system. Given Millen's reputation for performance we don't doubt this is one seriously fast vehicle. It's also a looker. As a matter of fact, we're starting to think it might be in the hunt for best-looking car at the show. The body kit is tasteful and looks OEM. The gorgeous custom RM ONYX HD paint job by BASF is a perfect contrast to the carbon fiber used on the roof, air intake blades, diffuser and other trim. While the press release mentions the Ferrari 599XX as inspiration, we're seeing a bit more Nismo 370Z in the overall design. Not that there's anything wrong with that. The interior wasn't overlooked either, with new Sparco sports seats, alcantara and carbon fiber trim panels coddling passengers as they listen to the new Infinity sound system. We can't wait to see how it runs -- and we intend to find out. There's a more detailed rundown after the jump and a great gallery of pics below.